You never know when the irresistible urge to nap will strike: on the subway, in your cubicle, at restaurants, or while waiting in line at the post office. 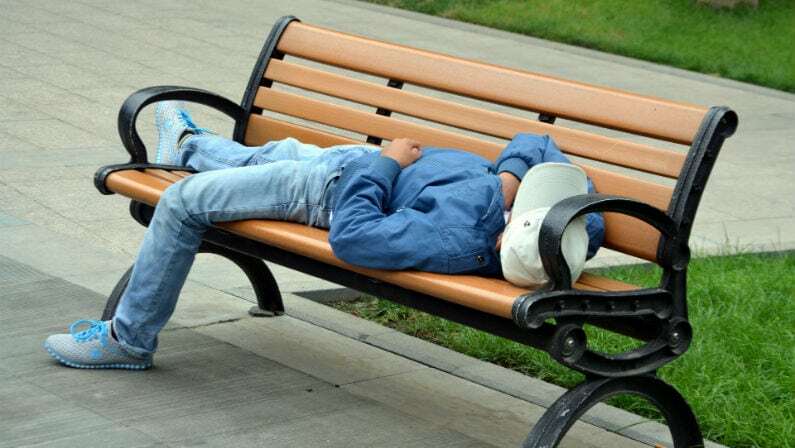 Unless you’re a gifted nap artist, napping in public or in less-than-perfect locations can be tricky, uncomfortable, or downright embarrassing. Luckily, revolutionary mattress and sleep products manufacturer Casper has you covered. Casper has just released a new “nap pillow” designed specifically to help you sleep anywhere you might find yourself too tired to function. Can this pillow help solve America’s growing sleep epidemic? Let’s hope so. I’m all for increased social acceptance of napping in public. Casper’s new nap pillow was designed by their research and development division, Casper Labs. The pillow is essentially a miniaturized version of their popular Casper pillow and is designed to rival some of the best pillows on the market. Casper’s nap pillow measures just 10.25 inches by 15 inches and comes with a pillowcase and drawstring travel bag, all of which imply that this pillow is designed for napping while travelling or otherwise on the go. Casper claims “the possibilities are endless” and that the pillow can be used to “soften any situation.” The new nap pillow is constructed like many of today’s pillows, featuring a supportive inner foam layer and a softer polyester microfiber layer surrounding that. The pillowcase and travel bag are both 100% cotton and machine washable. Casper co-founder and Chief Operating Officer Neil Parikh says the nap pillow is part of the company’s overall strategy to improve people’s lives through improving sleep. “The long-term vision of the brand [is] to help people sleep better, whether in your bedroom, in the air, wherever that may be,” Parikh says. The pillow retails for just $35 on Casper’s website. Will tiny pillows become a common sight under commuters’ arms or on desks at workplaces throughout the country?